The Snug in Blackridge, near Edinburgh sleeps 2 people. 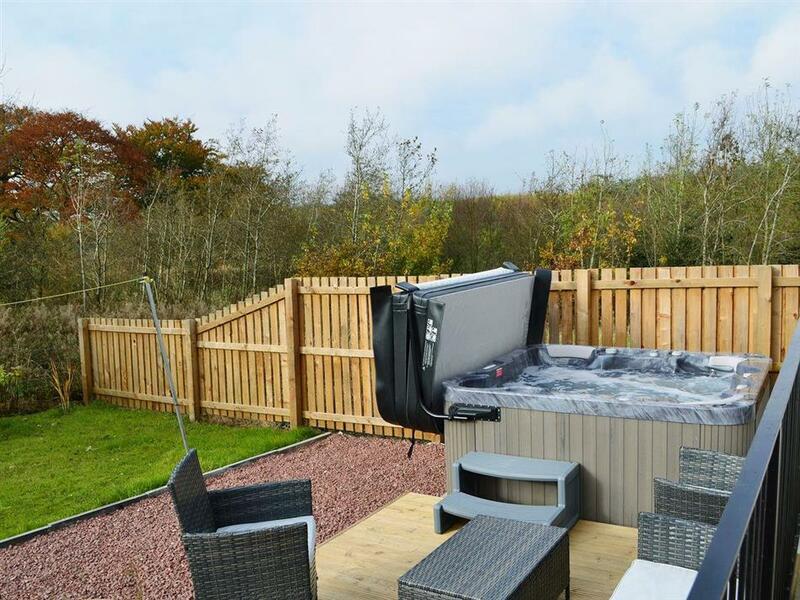 The Snug near Edinburgh has a secluded, private hot tub with nothing other than squirrels and birds to disturb you; The Snug is a centrally located, bright and contemporary first floor apartment for two. 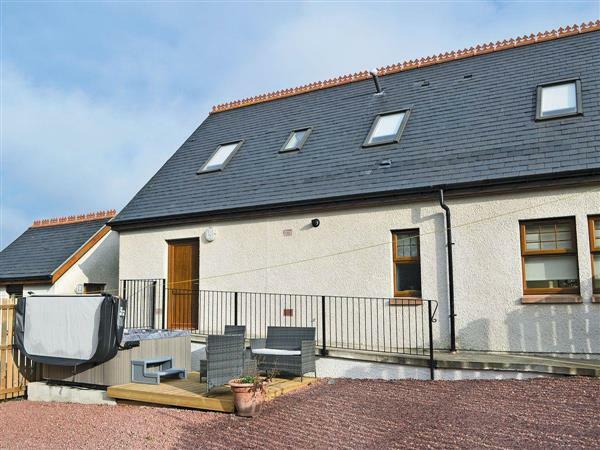 It is privately set in the grounds of the owner’s home with lots of good walks to Blahorn Nature Reserve which surrounds this lowland crofting initiative. Halfway between Edinburgh and Glasgow, and with wonderfully stress-free train access to either city in around 30 minutes, there is lots to do and see. Visit the fantastic Kelpies (two 30-metre-high horse head sculptures), the Falkirk Wheel, Polkemmet and Beecraigs Parks, and Linlithgow Palace, or shop till you drop at the designer outlet in Livingstone. Trout fishing, 3 miles. The shop and pub are ½ mile, with the nearest restaurant 3½ miles. First Floor: The Snug near Edinburgh is all on the first floor. Gas central heating, electricity, bed linen, towels and Wi-Fi included. Welcome pack. Small, enclosed, lawned garden with patio and garden furniture. Woodland grounds (shared with owner). Hot tub (private). Bike store. Private parking for 2 cars. No smoking. Holidays at The Snug run from Saturday to Saturday. For a better idea of where The Snug is, you can see The Snug on the map below. The Snug is in West Lothian; should you be on the lookout for a special offer, you can find all the special offers in West Lothian. It's always worth checking to see what is on offer at the moment. Do you want to holiday near The Snug (UK5214), you can see other cottages within 25 miles of The Snug; have a look to find your perfect holiday location.